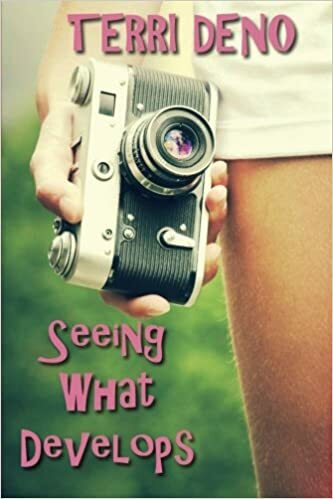 There are a number of new books coming out from writers I know, and the first one is Terri Deno's new romance novel Seeing What Develops. It was just a few months ago she released a novella, Melody of Love, using Amazon's Kindle Worlds platform, so I was a little surprised she had another book ready so quickly. I've read part of it while it was being developed on Amazon's Write On site, but I'll have more to report once I have a real copy in my hands and a chance to read it. Terri has a smooth style, so I can count on the pages turning rapidly. But enough of my blather. Here's the book! Lindley Neil is perfectly happy working as a photographer's assistant in her small, Midwestern town. As her boss Lexi LaPort starts getting bigger and better gigs, Lindley gets to follow Lexi around to L.A. and New York to photograph movie stars and models. What she didn't expect was to fall in love. Twice. With a movie star and a prominent journalist vying for her affection, Lindley also knows that her job with Lexi won't last forever. Lindley has to choose her own path, even though it means she has to break someone's heart. Will it end up being be her own? Terri Deno is a freelance writer living in the Midwest. When she's not writing, you can find her consuming massive quantities of books and rocking out to her vinyl collection. She is the author of Unfolding Life: A Book of Haiku, and her work has previously appeared in Luna Station Quarterly, Full of Crow and The Poetry of Yoga, Vol. 1. Click HERE for Terri Deno's Goodreads page. If you like romance, you might want to give this new book a try! Hello, Fringeworks? Horrified Press? Anybody?